Great resources for families, a few books suggested by our Elders. The Jesus Storybook Bible tells the Story beneath all the stories in the Bible. At the center of the Story is a baby, the child upon whom everything will depend. Every story whispers his name. From Noah to Moses to the great King David---every story points to him. He is like the missing piece in a puzzle---the piece that makes all the other pieces fit together. From the Old Testament through the New Testament, as the Story unfolds, children will pick up the clues and piece together the puzzle. A Bible like no other, The Jesus Storybook Bible invites children to join in the greatest of all adventures, to discover for themselves that Jesus is at the center of God's great story of salvation---and at the center of their Story too. All of us want to raise good kids. And we want to be good parents. But what exactly do we mean by “good?” And is “being good” really the point? Mother-daughter team Elyse Fitzpatrick and Jessica Thompson contend that every way we try to make our kids “good” is simply an extension of Old Testament Law—a set of standards that is not only unable to save our children, but also powerless to change them. 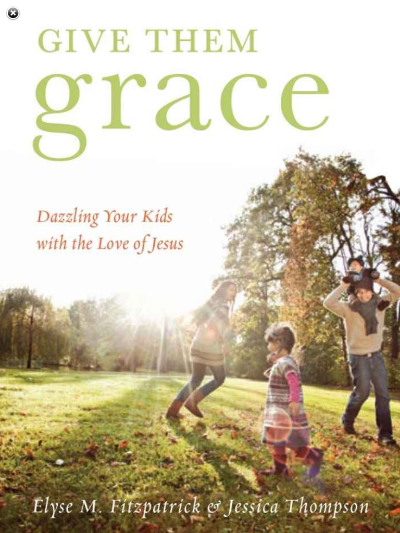 Give Them Grace is a revolutionary perspective on parenting that shows us how to receive the gospel afresh and give grace in abundance, helping our children know the dazzling love of Jesus and respond with heartfelt obedience. Written for parents with children of any age, this insightful book provides perspectives and procedures for shepherding your child's heart into the paths of life. Shepherding a Child's Heart gives fresh biblical approaches to child rearing.